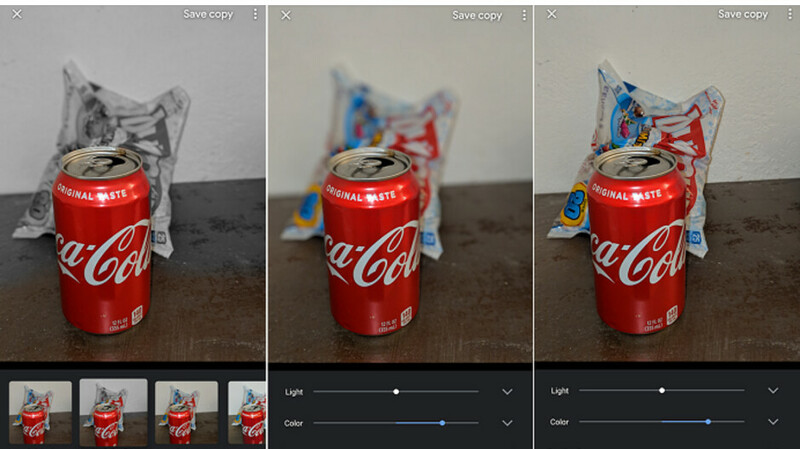 An update to the Google Photos app for Android last month included Color Pop and a manual depth slider (see photos at the top of this article snapped by the Pixel 2 XL). With Color Pop, the subject of a photograph is in color in the foreground, while the background is in black and white. It is a way to focus the viewer's attention on the subject of the photo. That update also added a depth slider, allowing the photographer to manually increase or decrease the intensity of the blur in the background of a portrait, otherwise known as the bokeh effect. The Verge states that both of these features are now available on the iOS version of the Google Photos app following an update. To use Color Pop on an iOS device, open up a portrait and tap on the edit button. Color Pop should be the first option. Tap on the main subject of the portrait, and he/she will remain in color while the background turns black and white. To use the depth slider, open up a portrait shot and tap on edit twice. That will expose the depth slider, which keeps the subject of the photograph in focus, and the intensity of the background blur just the way you like it. The Google Photos app for iOS can be found by clicking on this link. Now adjusting the Bokeh intensity is not exclusive to the 2018 models, take that apple! My "old" iPhone X can adjust Bokeh!